Books build bridges not walls! You are here: Home / Books build bridges not walls! How do you empower children to become citizens of the world? Books in translation, of course! 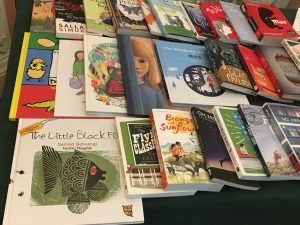 This was the overwhelming message at the ceremony for the Marsh Award for Children’s Literature in Translation last night – and the crucial role translators have to play as “linguistic artists” in bringing literature from around the world to English-speaking audiences. 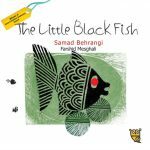 “Every young child will swim alongside the Little Black Fish as he sets off to find out what the world really is… Snappy dialogue, lyrical asides and a strong narrative embodied in a timeless message, with wonderful illustrations by Farshid Mesghali – a winner of the Hans Christian Andersen Awards for illustration. 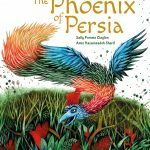 This book was first published in 1968 in Iran and it has become a classic picture book.” Gillian Lathey, Judge, Marsh Award for Children’s Literature in Translation. The prize was awarded to Helen Wang and her beautiful translation of Bronze and Sunflower by Hans Christian Andersen award-winner Cao Wenxuan (Walker Books). 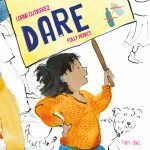 It was heartening to hear her speech about the importance of translation and as she says “the more we do, the more we can do!” It was an honour to be part of such a prestigious shortlist and to further celebrate the role of translated children’s literature. Winner Helen Wang and Judges (l-r): Colin Niven, Wendy Cooling, Gillian Lathey, Helen Wang and Kevin Crossley-Holland. We were also thrilled to see Joy Court and Daniel Hahn’s new publication of Riveting Reads – A World of Books in Translation from the School Library Association. Joy Court reminded us of the fact that, on the day that Donald Trump signed an executive order to build a wall in Mexico and to initiate a ban on refugees and a ‘registry’ of people from Muslim countries, the need for books to build bridges not walls, is even more stark. Three Tiny Owl titles have been included in the publication: A Little Black Fish, The Orange House and The Snowman and the Sun. You can read more about Riveting Reads here! 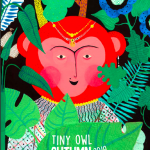 There are many organisations supporting translation in children’s literature including the SLA, Marsh Awards, ESU, IBBY UK, Outside In World and The Children’s Book Show – and we’d like to give them a big thank you for supporting our work! 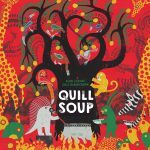 The Marsh Award for Children’s Literature in Translation is awarded to the translator of an outstanding work of fiction for young readers translated into English. The biennial award is run by the English-Speaking Union and is sponsored by the Marsh Christian Trust. Read more about The Little Black Fish. Read more about Riveting Reads: A World of Books in Translation. Read Kevin Crossley-Holland’s inspiring talk at the Marsh Award for Children’s Literature Translation in 2015. Buy The Little Black Fish (paperback) here. Buy The Little Black Fish (hardback) here.